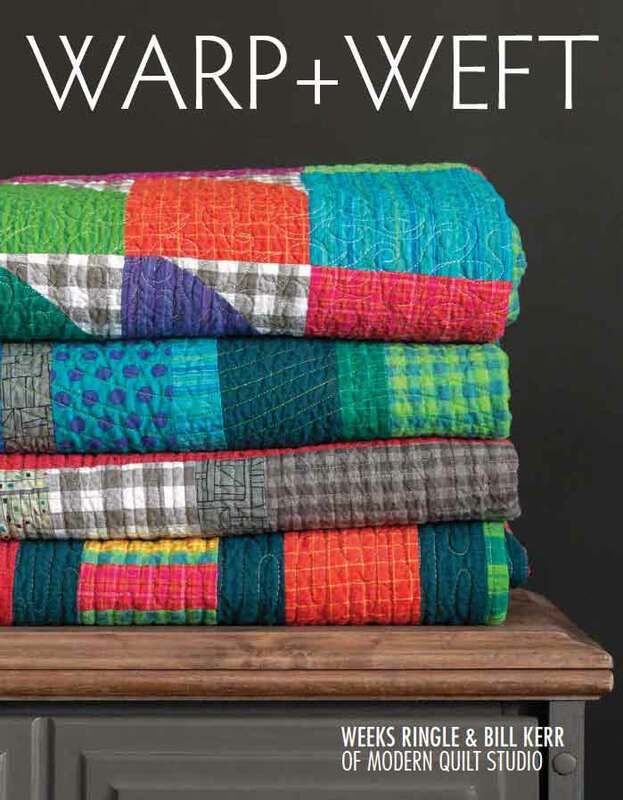 We've got a real treat for you today: A virtual trunk show of Weeks Ringle and Bill Kerr's projects made using their Warp & Weft fabrics. They've created five projects, and they're all conveniently featured in the Warp & Weft publication. They've also shared a free quilt pattern (see Tube Socks below). 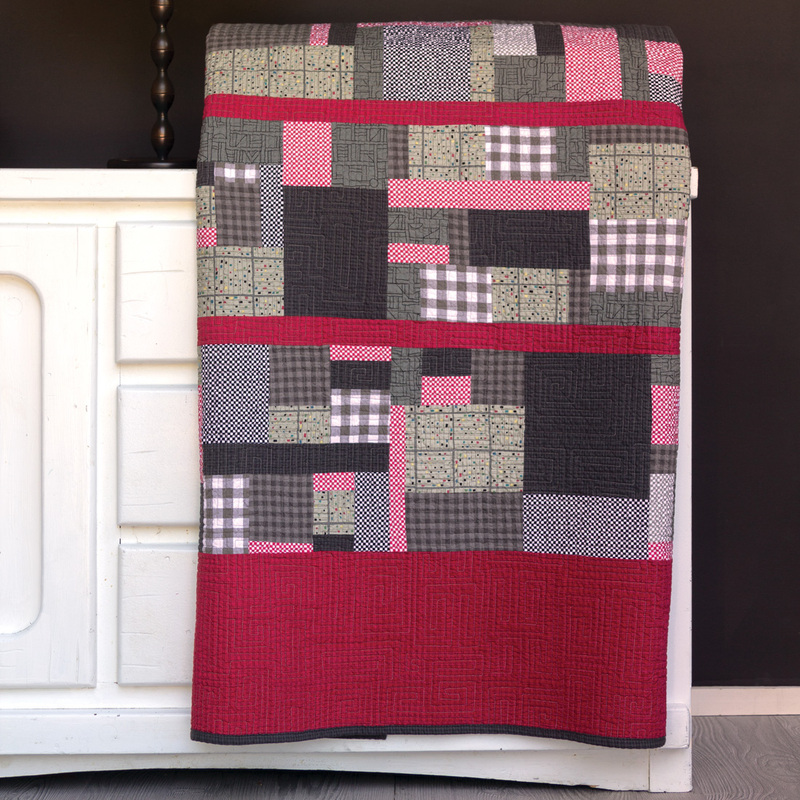 This quilt uses the gray and white plaid in the background of the blocks. 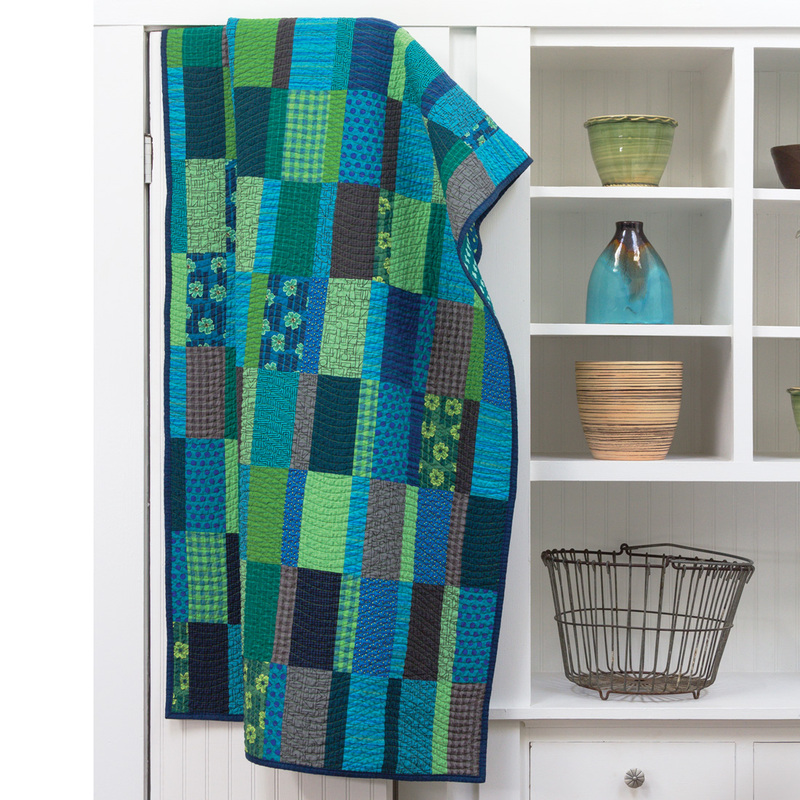 That one check just transforms the rest of the quilt. and here to purchase the kit. 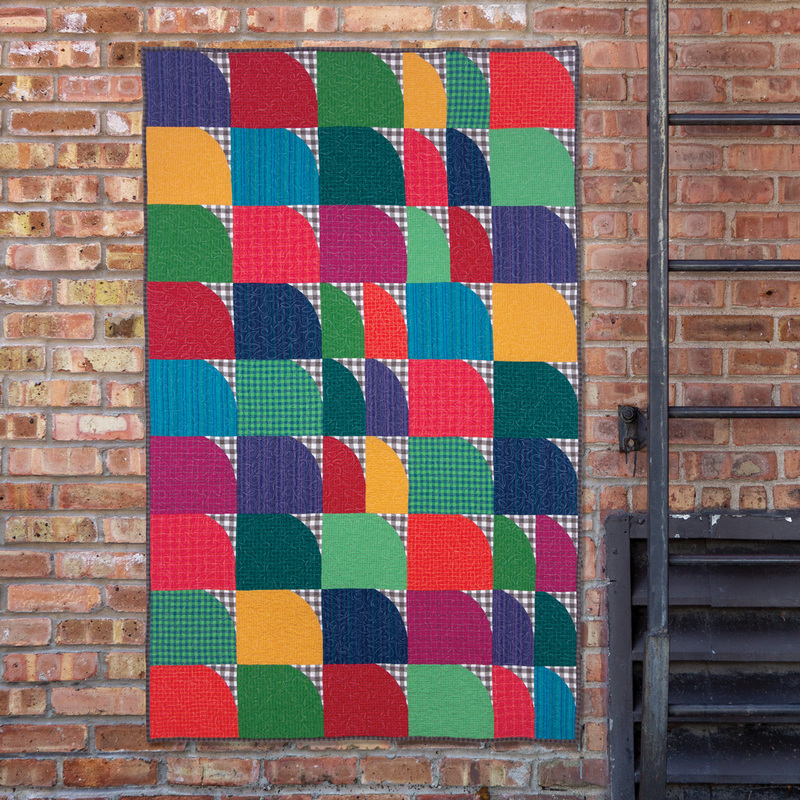 This quilt mixes the yarn dyes with prints from Printology. They play well together! You don't have to have equal amounts of every fabric, but you do need good contrast among the prints and yarn dyes so the pieces don't blend into each other. 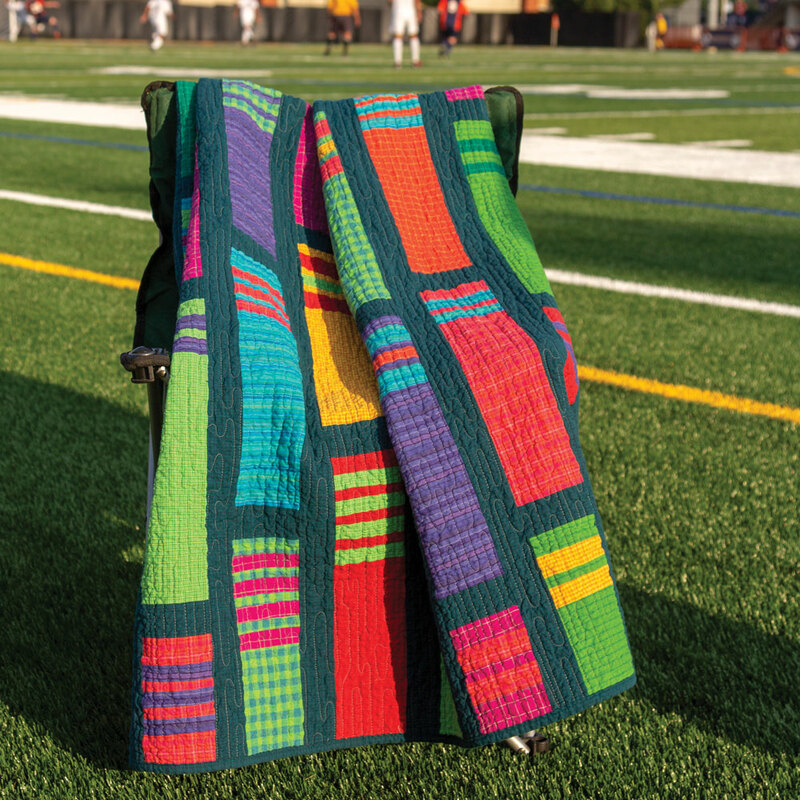 For this quilt, we chose a low-contrast palette of yarn dyes and Printology fabrics--the "worker bee" tonal fabrics. The pieced sections are made using improvisational piecing techniques, which you can cut wonky or straight. 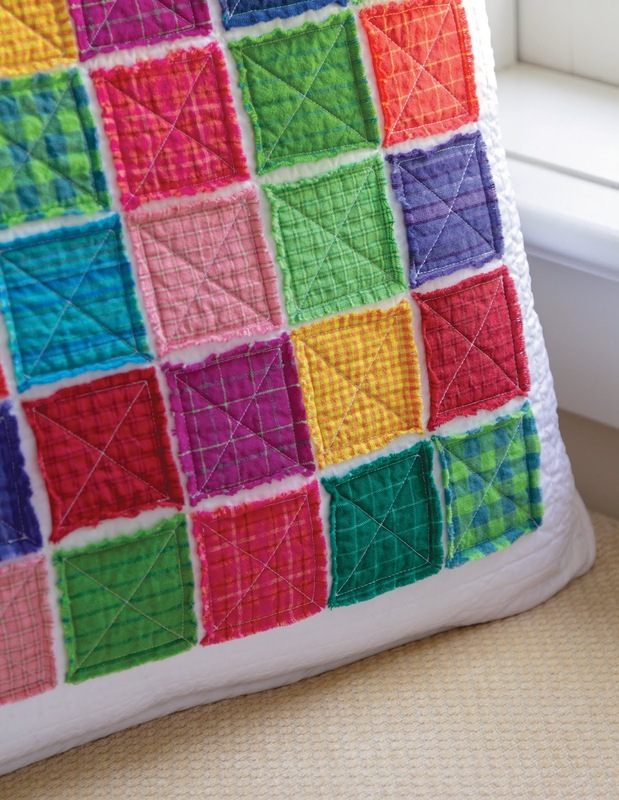 These squares are appliqued on, and then stitched down with a 1/4" seam allowance. Then we pulled a few threads out to fray the edges for a textured look. Click here to purchase the publication containing the Fringe Benefits pattern. 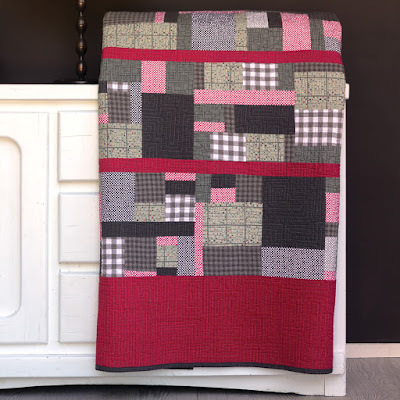 When we decided to develop modern quilts, our first rule of thumb was not to use traditional 19th century patterns--we wanted to use motifs from our modern lifestyle. Tube socks--like our daughter's soccer socks--definitely fit into that category. They made their heyday in the 80s, but they've made a comeback too. 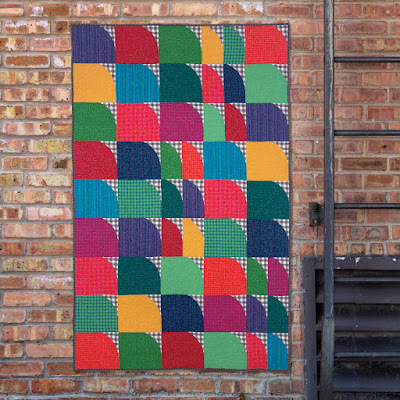 This was a fun quilt to design and puts a smile on our faces whenever we see it. Click here to see the Around the Block topper tutorial. Click here to see the Pillow Duo tutorial. This fabric line makes beautiful and cheerful quilts!! Love the tube socks pattern . . . so fun!! Thank you. These are gorgeous . . . the fabric and colors are so happy and the texture . . . oh my goodness, perfection! I like all the quilts. Very nice and great fabric.